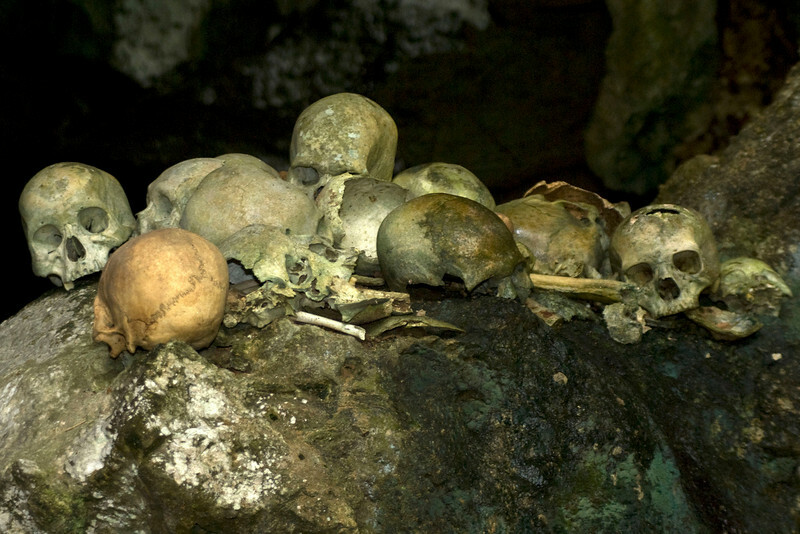 SKULLS ON A ROCK IN A CAVE (GRAVE). RANTEPAO. TANA TORAJA. SULAWESI.